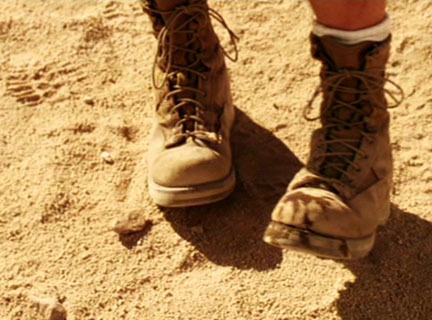 This desert outfit was worn by the character Mr. Smith portrayed by the actor Brad Pitt in the Motion Picture Mr. And Mrs. Smith. 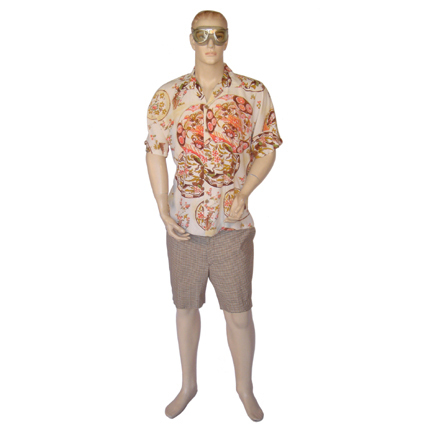 This outfit consists of a Hawaiian shirt, plaid shorts, a pair of goggles, and beige suede boots. 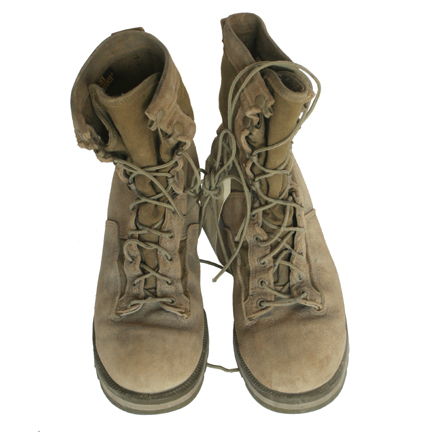 The outfit is accompanied by a costumer's tag with the following information written on it: actors name, chg. #, scene #, and movie title. 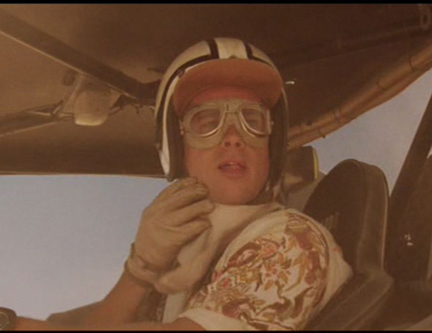 The outfit can be viewed in the desert scene where Pitt is driving a dune buggy while listening to Motley Crue. This outfit will become a memorable artifact from Motion Picture History, representing the first on screen appearance of Hollywood's golden couple Angelina Jolie and Brad Pitt. Accompanied by a Certificate of Authenticity from the costume house.